As we announced, our sales at IDCM has reached over 100% in just 3 mins. IDCM was updated yesterday to support the mobile version for IEO participants. We asked them to make a mobile version because there are many Steemians who only use the mobile phone, and IDCM updated this for us right away. Thanks so much to the IDCM Korea team. As we mentioned, we are planning to run some more IEOs, but IDCM’s average bonus rate is the highest. 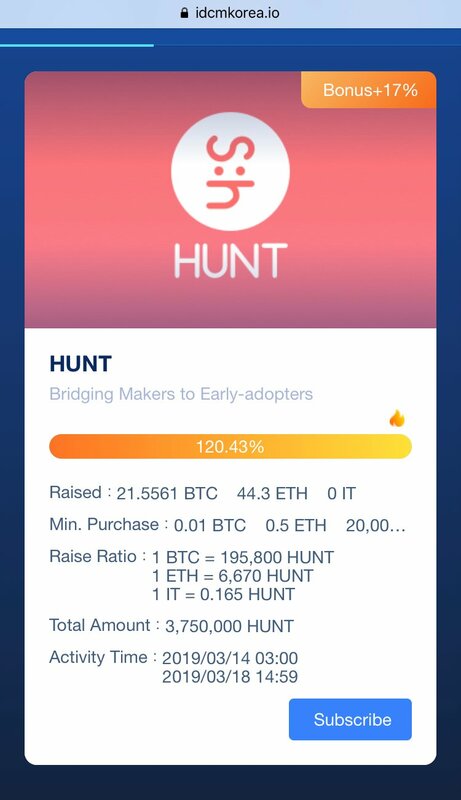 If you’re interested in purchasing HUNT token please check out the 17% bonus deal. 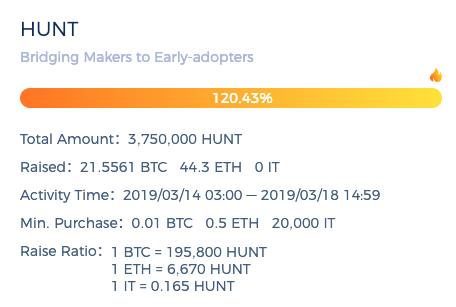 Congratulations @steemhunt We Are Getting More and More Valuable Everyday !!! I am new to steemit. Dont know much about it. Would you please explain what IDCM is? And how will it benefit me? Ya se acabo la oferta? Hallo, how to buy tokens hunt? Last few week i connected my steemit to steemhunt but in can't make any post because i didn't find any post options in steemhunt.